The universal appeal of Chameleon Lights by Ayushman Jamwal attributes significance to the book. It is unlikely to imagine that the senior output editor of CNN-IBN can create poetry. It is, however, not surprising that the poetry has something most of us can relate to. The universal appeal of Chameleon Lights by Ayushman Jamwal attributes significance to the book. The book deals with a wide array of themes ranging from love to despair to peace and revelation – all in twenty poems written over ten years. The poems are not about rocket science or exceptional experiences but of a journey of the self through events that keep recurring in our daily lives. Speaking only through the tap of your fingers. The approach to self-discovery that Jamwal has portrayed is old-school. For instance, hair like flowing cascades of brown water is reminiscent of how O. Henry described Della in The Gift of the Magi. The poetry gently touches the heart before one realises. The book can be completed in one sitting but its insight lingers in the mind of the reader for long after it has been read. The writing sounds majestic when read out aloud. This is owing to the language used in the verses. One example of this is in the following lines from Prophesy of Fallen Heroes. Only the heroes walked in the dark, with an aged thought. The book offers self-reflection through poems like The Unlikely Pilgrimage and A Destined Tale while also illustrating love for animals in general and dogs in particular through Canine Love which seems to be written for the poet’s golden retriever named Leo. The essence of moments fleeting by as captured by the poems is sure to entice readers who find themselves in a world that is changing fast. The book is published by Authorspress. The cover art is aesthetic and aptly symbolises the journey of the soul. The Chameleon Lights by Ayushman Jamwal was launched at Oxford Bookstore, Kolkata. 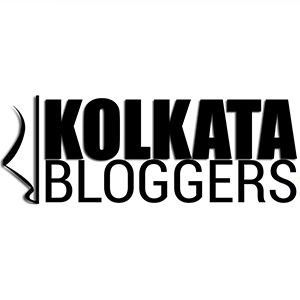 The launch was partnered by Kolkata Bloggers and supported by the Kunwar Viyogi Memorial Trust which is named after the poet’s grandfather and Dogri writer Kunwar Viyogi, whom the book has been dedicated to.